It’s a type of property viewing where multiple potential buyers can attend during the same time slot. The agent will be present to answer questions and buyers can view the house at their own pace. This can be preferable to individuals viewing the property by appointment over several weeks or months as they will have a short window of opportunity in which to view. Once they’ve viewed the property they will have an opportunity to make an offer and the owner is free to choose the offer that suits them best or refuse offers if they are not happy. This can help to create a competitive buzz during the viewing which can lead to increased offers being received afterwards. With all potential buyers viewing your property during the same day, your time does not need to be spent conducting multiple viewings. An extra plus point is that with all the viewings on one day you only have to prep your house once. Even if you keep a spick and span home, there’s always a certain amount of staging needed – it’s unavoidable. It can be stressful for buyers to walk around with one host when they view a property as they may feel under pressure to comment or make conversation without stopping to properly take in what they actually feel. It’s also a basic human trait to rise to a bit of competition… and house hunting is no exception. If potential buyers see other viewers admiring your house, there’s a big chance this will only increase their interest. Due to the level of competition that can result from the buzz of an Open House, buyers will tend to submit their highest offer which can lead to an increase in price which may not have been achieved without the competition brought on by an Open House Event. Make sure the house is up to scratch: You don’t want to arrive at the morning of the Open House to see paint peeling from the front door, or bins overflowing in the garden. Try and view your house as a potential buyer would and you’ll be more prepared. Prepare for questions: With multiple viewers, there will be more questions to answer. Make sure you’re prepared to answer a range of questions that may be asked. Choose the right estate agent: If you want a completely stress-free open house, picking an experienced estate agent might mean you could simply go out for the day and let them do the work for you! They know exactly what sellers are looking for and will make the process hassle-free. Of course, you may prefer to be present at the Open House and that’s fine too. 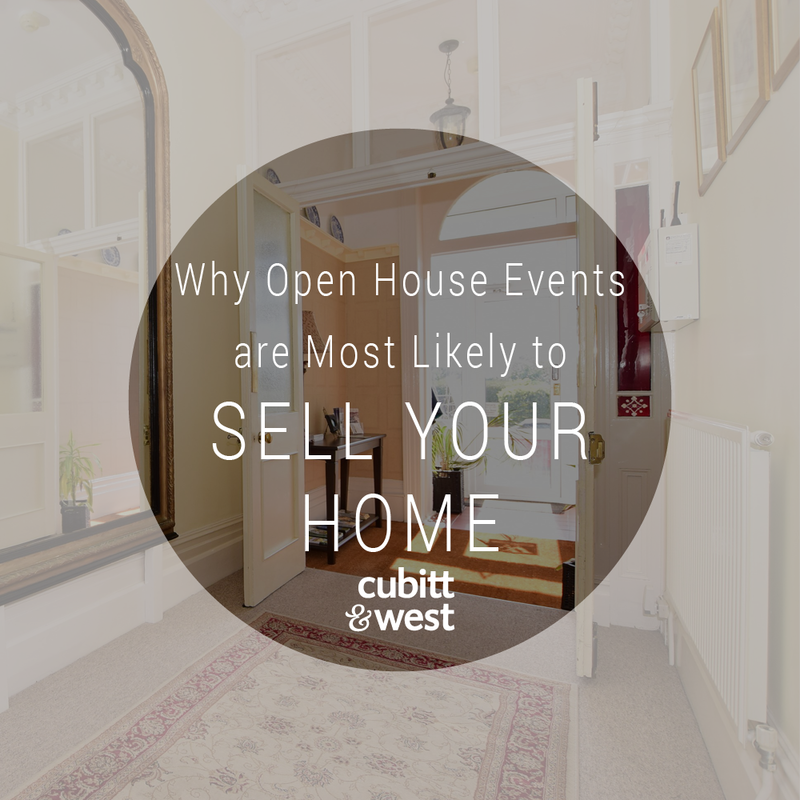 Check out this post by Fortune PR for a bit more info on why Open House viewings work from a marketing perspective. If you haven’t yet tried this marketing strategy and have had trouble selling your property, now might be the time to use it. Likewise, if you are just putting your property on the market, why not save time and increase the potential selling price? Get in touch for a no-fuss, no-pressure valuation of your home.